Just like in a regular Angry Birds game, targeting the weakest link on the structure is what you should do. Look at the structures you’re facing and hit the spot that will cause the most damage: usually, the glass tiles are the best choice, but if they are poorly placed and taking them down wouldn’t bring down the entire structure, it might be wisest to go for the wooden ones. TNT crates are no brainers, so always go for them when you see them (and sometimes look for signs that they are hidden – usually behind large, square glass bits). 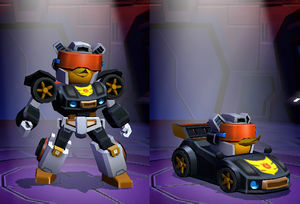 They all have different stats and approaches to the game: Optimus in quick, for example, but weak when shooting. 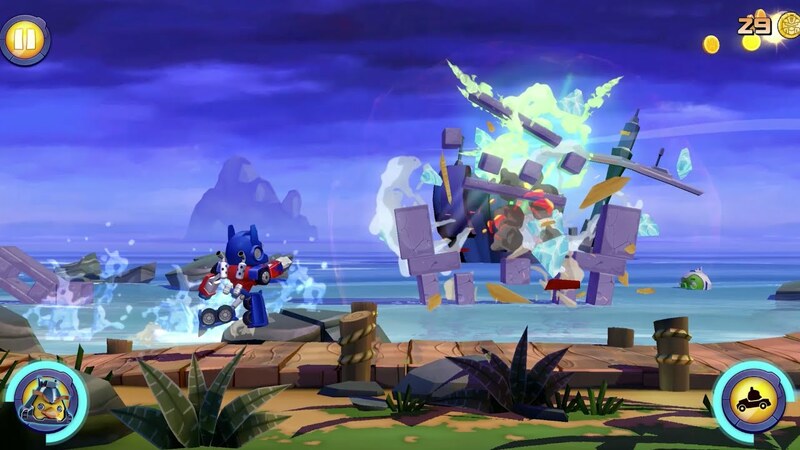 Soundwave has a more powerful shot, but it recharges slower. All transformers have different stats and you should know them before starting a mission in order to use their advantages to the maximum. 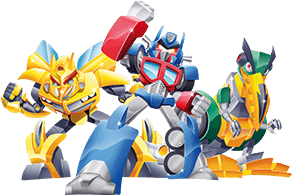 It’s pretty difficult to know which Transformer to upgrade (since they might be required for a missions), but the golden rule of thumb is to upgrade them all in the order you’re getting them. While one is upgraded, you still have the others available for missions, so it doesn’t really matter that much which one is stuck. Look on the map, if you have more missions available and see which Transformers are required to take part in them, then start upgrading the Transformer that’s not needed (or the one that’s getting a “Hard” difficulty on a mission in order to beat it). I know that it’s extremely spectacular to blow off the TNT boxes in the background and bag on the coins, but pigs that shoot at you should be your main priority: the flying ones, for example, can only be shot directly, so you should take care of them first. Then focus on bringing down other pigs that can cause you damage and only in the end take care of the pigs that just stand there and do nothing. Want more coins? Shoot everything! 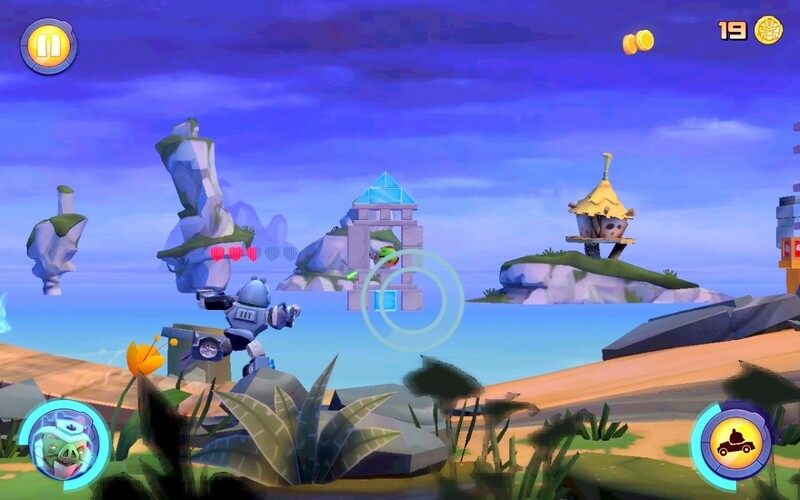 The more destruction you cause, the more coins you will get in Angry Birds Transformers. From floating toys to structures in the background, everything that can be shot and destroyed will give you extra coins. A bonus comes from the Golden Boxes which give you even more coins than regular targets. You can sometimes watch a video to double your mission’s rewards. I know that you are tempted to go for this as soon as it’s available, but don’t rush things as you will not be able to do this every time you play. Instead, wait to get a really nice mission with a solid reward, both in terms of pigs and coins and only then get the mission doubler. You get more bang for your time! It seems that you have to be smart on many occasions when playing the game. Such is the case of summoning a partner, which can really help you throughout a mission if you bring them in at the right time. And a right time will be that moment when the screen is swamped with enemies and structures that you can’t take out alone. Bring the friend in and their transformer will make a great entrance damaging (or completely destroying) all structures and pigs around. Plus, they will stick around for a while, helping you shoot things down. The higher the level of the friend’s Transformer, the better for you! A thing that most players usually ignore before starting a mission is their Transformer’s health. It is shown right after you tap the icon to start a mission, above the Play button. If your Transformer’s health is not full, you might want to wait it out to have a clear shot at winning the missions. Sometimes, you will only need a bunch of extra coins in the game and I found a way of getting there a bit faster: fail a mission. If you fail, all the pigs you have collected will be reset to zero, but you will get to keep all the coins and you will be allowed to replay the same mission (so it doesn’t go away like with other missions). The downside here is that you can’t replay it right away because your Transformer’s health will be depleted and recharging costs more than you are getting, but you can wait and get some extra coins too next time you play. It’s a waiting game anyway and any bonus that you can get is pretty useful! 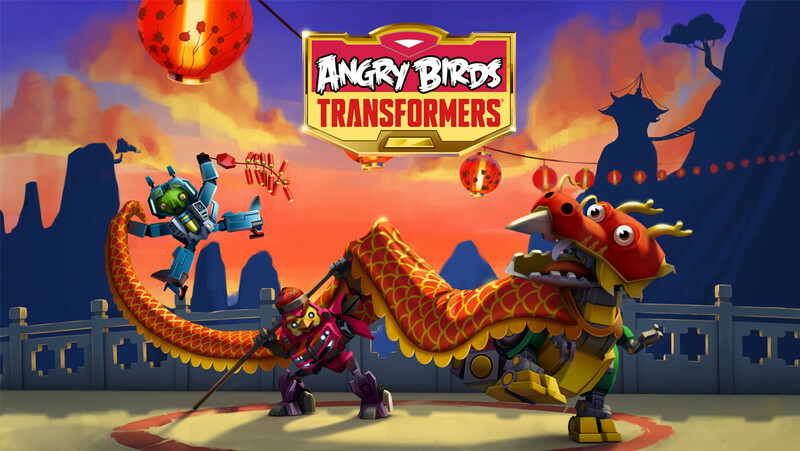 This is a guide app for Angry Birds Transformer. 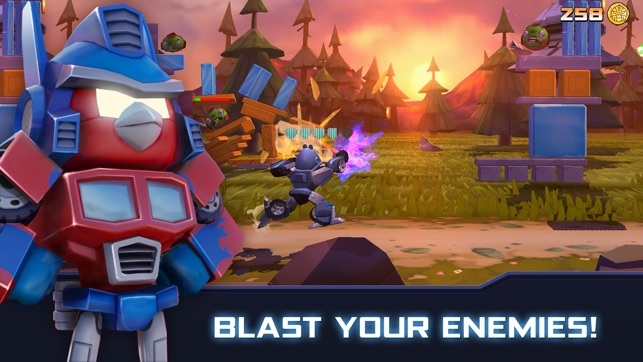 Angry Birds Transformers is the newest game in the Angry Birds series and if it weren't for Epic, it would be the most surprising and most unique. 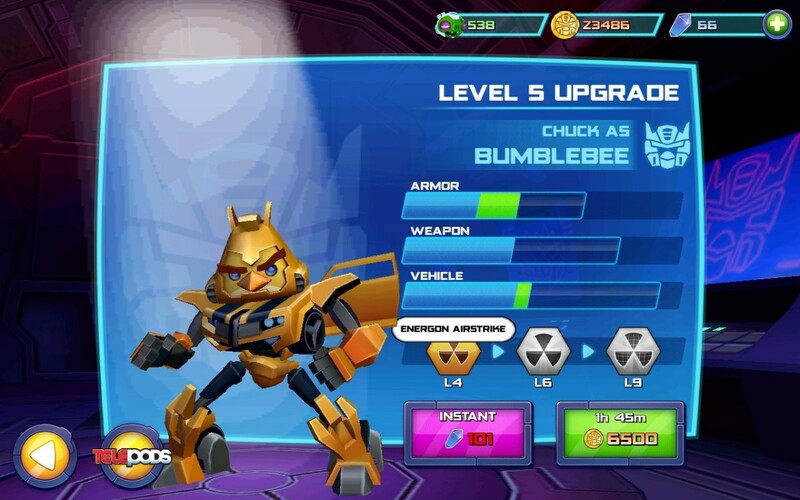 If you are looking for some help with the Angry Birds, want to earn score and coins, maximize efficiency, this Angry Birds Transformer guide app will provide you tips that will definitely help improve your skills.